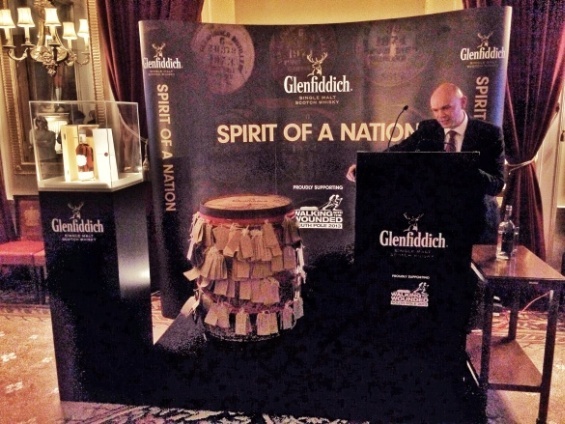 December saw the official launch of the Glenfiddich ‘Spirit of a Nation’ 29 Year Old Limited Edition. The bottling was produced to commemorate their sponsorship of the Walking With The Wounded South Pole Challenge 2013. 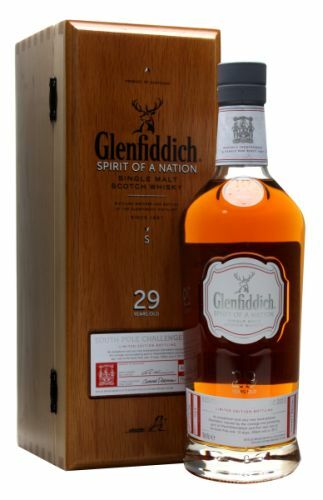 This is the second year that Glenfiddich have supported the charity. 2012 saw the company sponsor their Everest Challenge, a trek to the summit of the mountain with a team including 5 wounded servicemen. 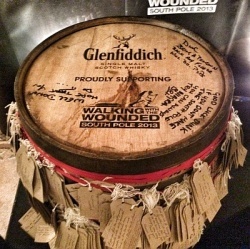 The climb was sadly postponed, but in its place the world’s highest ever whisky tasting was held at Everest Base Camp in Glenfiddich’s yurt that took pride of place at our show this year. The challenge this year was a three team 13 day race to the South Pole from a position at 87 degrees south latitude. Glenfiddich sponsored Team UK, comprising of five wounded servicemen and women: Conrad Dickinson, Sergeant Duncan Slater, Captain Ibrar Ali MC, Major Kate Philp and Captain Guy Disney, accompanied by one Prince Harry. Due to safety concerns, the race was suspended just before the halfway point, with the teams joining forces and completing the journey together. The launch event was held in the suitably militarian location of Trinity House in London, in the presence of the aforementioned signed finishing cask. We, or rather Glenfiddich’s UK Ambassador, were able to speak to the team via satellite phone on their rest day and ask them questions, some rather comical, about their journey and also toast them with a dram of Spirit of a Nation. Prince Harry, aged 29, even wished us a good evening, very kind of him considering he was in rather sub-zero conditions at the time. 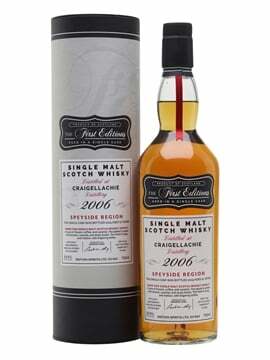 Nose: Notes of toffee and leather from the sherry cask intertwined with vanilla from the bourbon cask, with hints of banana and cinnamon in the background. 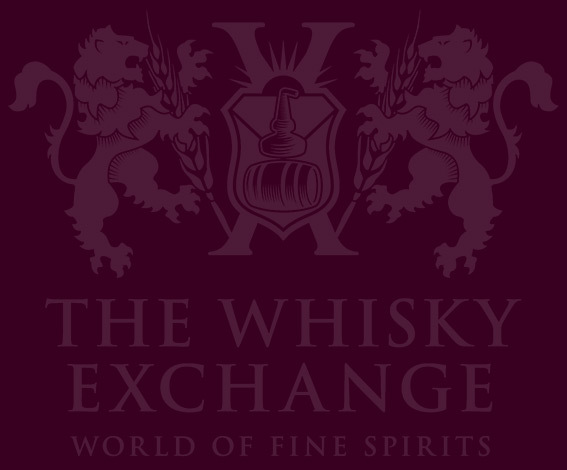 Palate: A luxuriously waxy texture, with rich notes of leather and a hint of varnish combined with rum and raisin cake, fruity apricots and sultanas. Finish: A long and warming finish with the leather continuing through from the palate and the apricot slowly turning into chocolate oranges. Nose: Green apple and heather honey, nice biscuits, raisins, candied peel, polished wood, spiced cake batter and fragrant dried orange peel – the sort of thing that makes me think of orange and clove pomanders, which Wikipedia assures me isn’t just a weird thing we had when I was a kid. Along with that is a slice of vanilla, with buttered popcorn, foam bananas and some sour gummi chews. 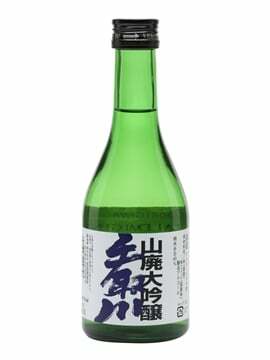 Palate: Sharp up front, with Granny Smith apple balanced by a touch of sweeter Cox’s. There’s some astringent wood and woody spice, along with orange oil, tannic wood, wax polish on old oak, and a core of woody spice. Finish: Digestive biscuits and apple skin, with sour fruit gums, and a burst of icing sugar sweetness. 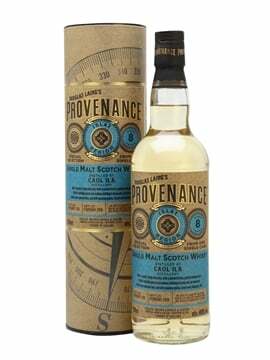 Comment: Definitely the product of a couple of casks, the bourbon cask finish providing an interesting vanilla sweetness, along with other traditional boubon notes, on top of a darker, more sherried background. 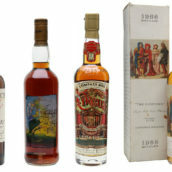 Only 250 bottles were produced, of which 200 are to be sold as a UK exclusive. 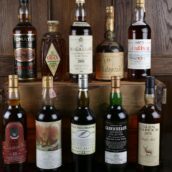 Two further bottles were sent to the South Pole with Team UK, one of which was to be drunk upon arrival at the finish line and the other will be auctioned upon their return. All the profits from the bottles will be donated to the charity. We’ve still got a few and they’re available on the website now.